Set for its 9th annual running this year, here in this city that lies near the border with Pennsylvania in the Southern Tier of New York, the Greater Binghamton Bridge Run features both a 5K and a half marathon, which will unfold along a course that takes runners — and walkers, the race is open to both — across no fewer than four of the city’s historic bridges. Walkers are welcome in both the half marathon and 5K, organizers note, as long as they can finish the race by the time the course closes at 11:00 AM. 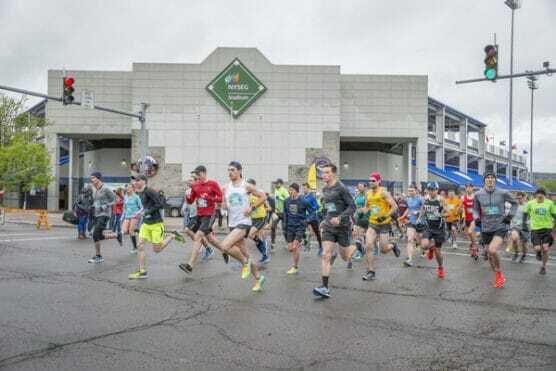 The out-and-back course for the race will start and finish at the city’s NYSEG baseball stadium, the home of the Binghamton Mets, who play at the AA level in the minor leagues. From there, runners head out first along Henry Street, which they follow all the way to the intersection with Water Street, and turn right there onto Water and then again onto Clinton, where they meet the first of the four bridges they’ll cross, this one over the Chenango River. Next, runners follow Clinton all the way to Glenwood Avenue, where they make a left and then turn left again onto Main Street, which brings them back eastward toward the second bridge, which this time crosses the Chenango again at the Court Street bridge. Runners then follow Court all the way to the turn right onto Tompkins Street, where they make their third bridge crossing, this time over the Susquehanna River. After crossing the river and heading south for a stretch along Tompkins, runners turn right onto Conklin and follow it westward toward Washington Street, where they turn right again and cross the Washington Street bridge back over the Susquehanna and make their way into Confluence Park, which lies (hence the name) at the confluence of the Susquehanna and the Chenango rivers. 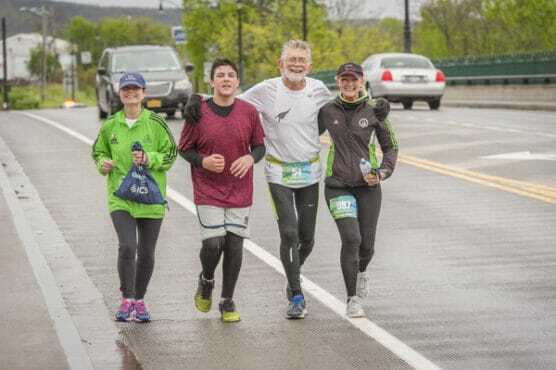 Runners follow the trail that winds northward along the Chenango all the way back up to Court Street, where they veer off the path and cross the bridge a second time, and then head along Front Street along the opposite side of the river. The final few miles of the half marathon bring them back through the western part of the city and past Recreation Park, before turning runners back onto Main Street for the home stretch back to NYSEG Stadium. Located in New York’s Southern Tier region, just over 175 miles northwest of New York City, Binghamton typically sees mild to moderately warm weather in May, a month that has brought record temperatures here as low as 25 degrees (in 1978) and as high as 89 degrees (in 1996). On race day (May 5), the average low is 43ºF and the average high is 62ºF. See the race route map for the Greater Binghamton Bridge Run Half Marathon here. 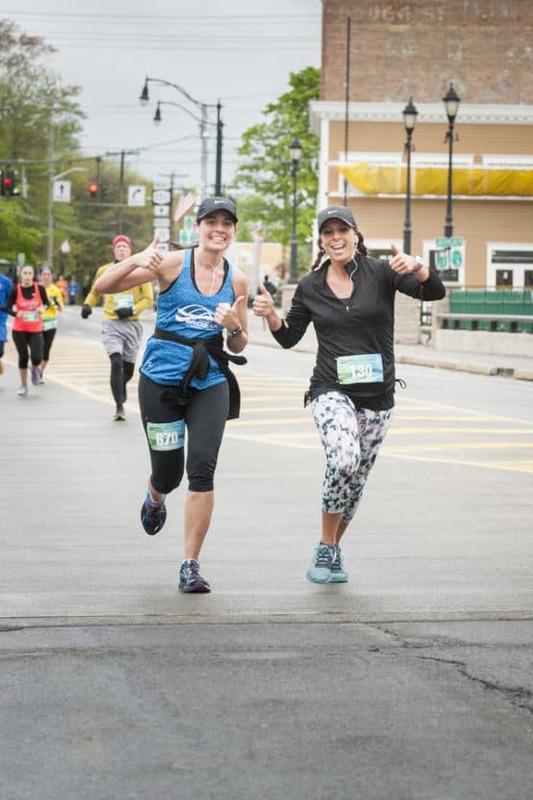 To reserve your spot in the 2019 running of the Greater Binghamton Bridge Run Half Marathon or 5K race, register online at the event website here. 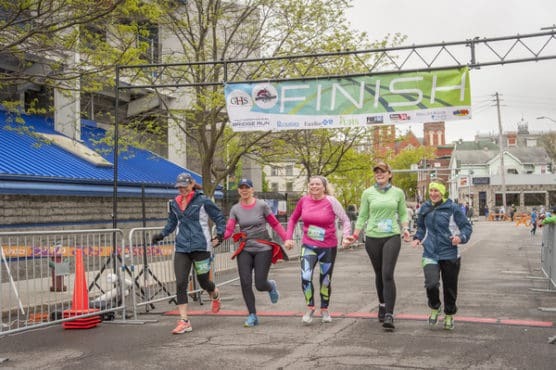 Ever run in the Greater Binghamton Bridge Run? Share your impressions here, or post your review in the Comments below.